Excitement in the first half of February leads into a much more subdued second act, as home life and work take a starring role. Expect the practicalities to be more prominent. later in the month! The month opens with momentum and connection, as the stars align in your zone of close ties – fun with friends is likely as February begins! The new moon in Aquarius (at 9.04 pm GMT) on the 4th is a pertinent time to refresh your sense of relation to others, from school friends and siblings, to those you see and greet everyday; think of the interactions you hope to breathe new life into in the months and years ahead. It’s a powerful time for you to acknowledge new skills and interests, developing the ability to communicate better in the future. The 8th reiterates these themes, so pay attention to the interactions you encounter on these important days. Your sense of passion is skyrocketing now thanks to Mars in your zone of romance, creative urges, and the most amorous area of your horoscope. Personal interests and artistic endeavours are yours to embrace, particularly ahead of and on Valentine’s Day itself. 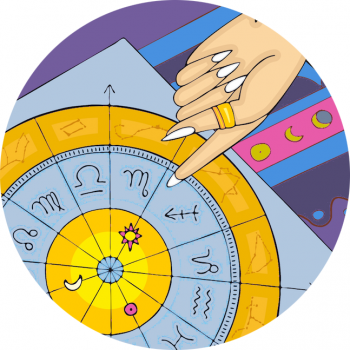 It’s a wonderful time for Sagittarius to affirm a stamp of approval onto solo ventures, but also to recognise the experiences that are most fun, and how these have come on in leaps and bounds in recent years. This could involve a lover, and yet it could feel incredibly personal. Confidence blossoms on the weekend of the 16th, as sweet Venus and dreamy Neptune align in your practical, grounded zones of home and your position. After the heady day of love has passed you can settle into a more promising, regular routine. You might even kick start a healthy plan of action, inspired to really show up with a productive edge from Monday the 18th, taking your role very seriously. It’s also a good week to address any financial plans or long-term goals in your professional life, Sagittarius. The full moon on February 19th peaks at 3.54 pm GMT can be harnessed in your career or provide acknowledgement for your ambitious side, as Luna peaks around your worldly goals and path. Towards months end it’s about nesting and home, however, as Pisces Season ushers in a cosy time to settle and focus on family ties. The last week of February delivers considerable shifts around your capabilities where earnings are concerned. Welcome developments and allow what’s in store to unfold.